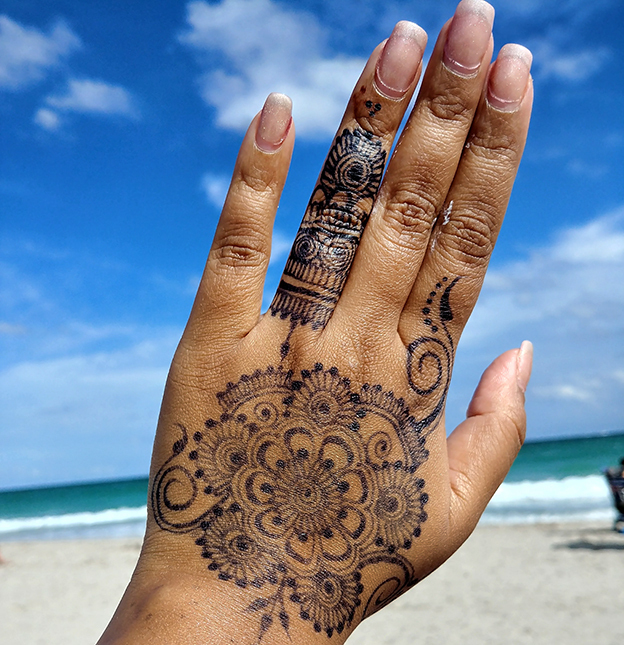 What is Jagua, if it’s not black henna? Jagua juice comes from the jagua fruit also known as the Genipa americana. Harvested in South America, Puerto Rico and other tropical places, south of the equator. 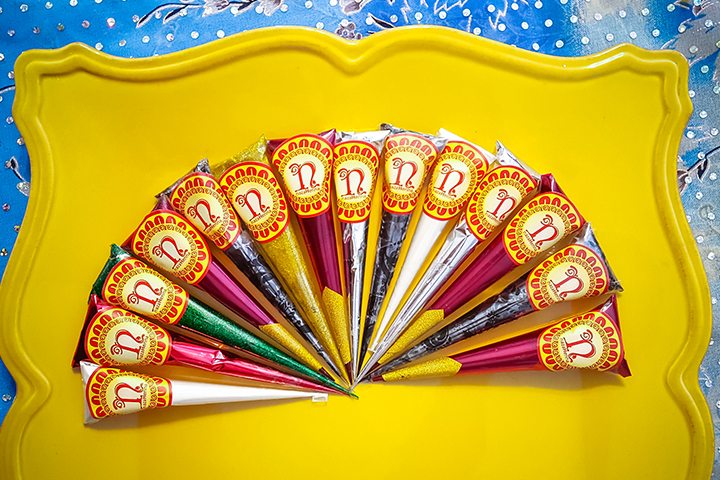 It has been used for centuries for tribal markings and body art. Recently becoming popular in the west. So, how does this affect you? It’s applied like henna, but the consistency is more like aloe than a paste. 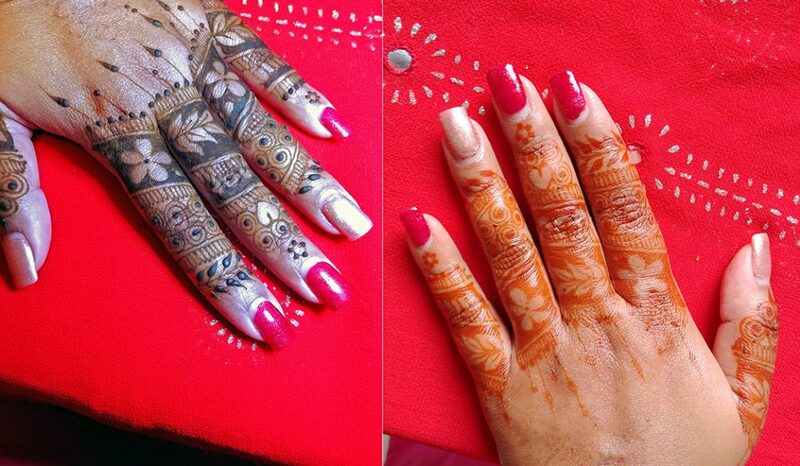 It has a completely different aftercare instruction vs henna. The end result is bluish black, bluer on lighter skin, blacker on darker skin. It’s great to use to test a tattoo design before getting the real thing, or for those who love the look of a real tattoo without the pain. A fantastic option for darker skin brides that want a higher contrast color. 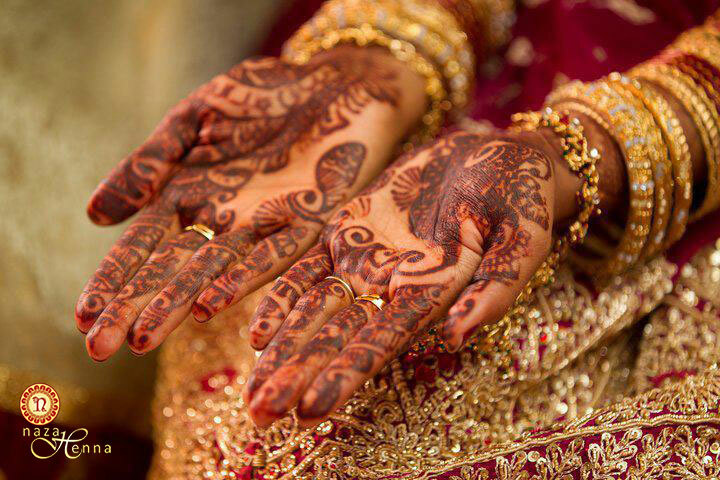 Men also love jagua, because it provides a more masculine color vs the the reddish henna look. This stuff is no joke, it stains immediately, so don’t smudge it, because it will stain smudged! Ghosting: it’s transparent when applied thin and the color doesn’t show up at first, more on this below. Note: If you have an allergy to fruits, such as strawberries, do a dot test to see if you have a reaction. Aftercare: the Jagua will dry flat and shiny in about 30min. To prevent lifting/peeling (optional): spray it with the Aftercare Sealant. After 3-4 hours, wash it off thoroughly with some soap and cold/warm water. The Jagua will “ghost” – the design will be barely visible when you first remove the gel. This is normal. Wait 24–36 hours & you will see the color darken & mature to a blue-black color. Jagua comes in 3 forms: gel, juice or dehydrated powder. It’s really up to the artist, which form to use in their mixture. 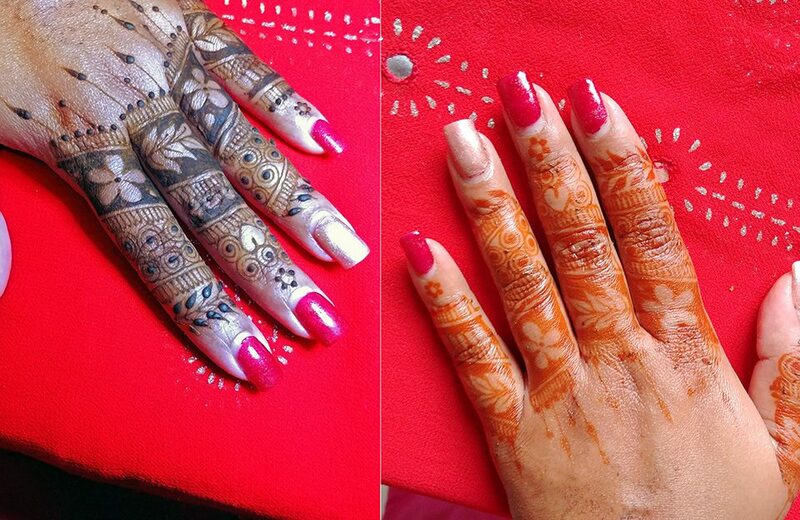 Jagua can also be mixed with henna to create many shades of browns, this mixture is known as hengua! I prefer to seal the Jagua with sealant because as it dries it can start to lift off the skin. 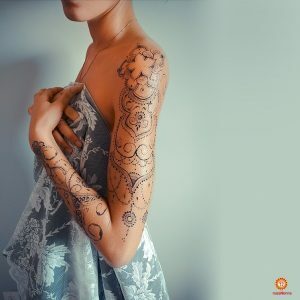 It stains super fast, even if you wipe of a mistake, it will leave a mark (despite being invisible at first) – SO, use a washable marker or a gel pen for markings and sketches before using the Jagua. Application vessel – I prefer a cellophane cone vs a jacquard bottle because it hurts my thumb and wrist less, but it’s really up to the artist and the project. The texture of the Jagua Gel can be a shock going from creamy henna, so practice and play, and note that certain techniques have to be adjusted, especially dots! Shelf life – up to 6-8 months in the freezer, always store in freezer and thaw before use. Check our the Jagua Gallery for more photos and for our latest work visit us on Instagram.